Dodge's big hauler combines large sedan passenger comfort with tough pickup truck capabilities. 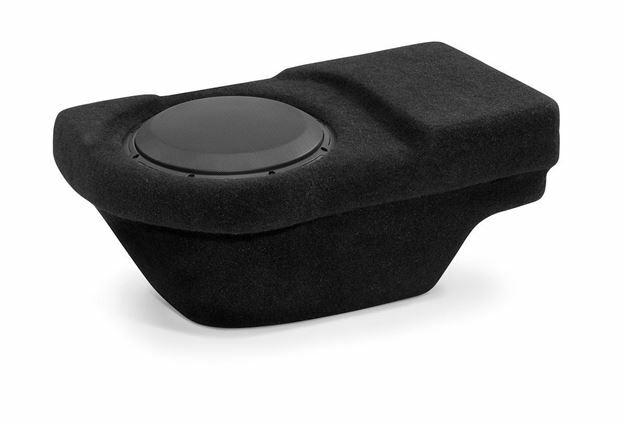 Our Stealthbox® for the Quad Cab tucks under the rear seat on the passenger side and encloses a 10-inch driver for impressive sub-bass performance. Seat folding is unaffected and plenty of room is left on the driver side for amplifier installation or storage. Best of all, the Stealthbox® is essentially invisible once installed. The Hard Data: Contains one 10W3v3-2 in a sealed enclosure. 500 watt power handling. Wired for 2 ohm mono. Installs under passenger side rear-bench seat. The seat folding function remains unaffected. Cup holders are not affected. Some models require removal of the passenger side metal floor extension located under the rear seat. 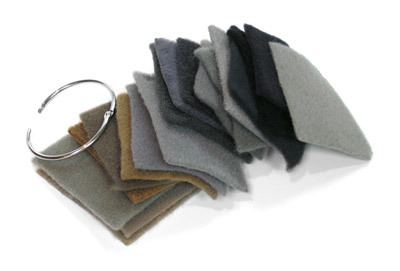 Some models may require cutting and removal of the underseat carpet and/or carpet padding. Will not fit Mega Cab.